The Colorado Avalanche Hockey Club announced today that the team has reduced its 2014-15 roster to 25 players. 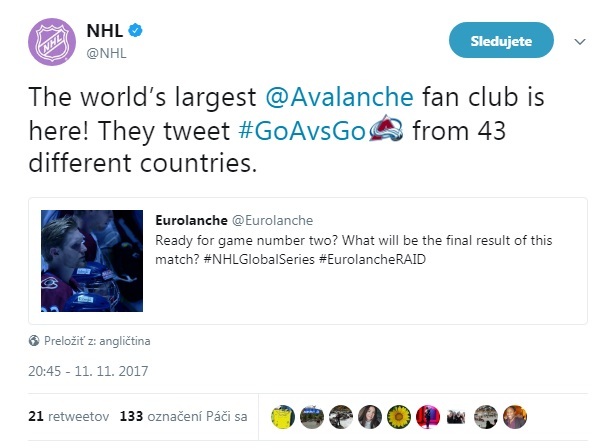 NHL on Nov 11, 2017: "Eurolanche is the world's largest Colorado Avalanche fan club." All NHL logos and marks and NHL team logos and marks as well as all other proprietary materials depicted herein are the property of the NHL and the respective NHL teams. NHL Stadium Series name and logo are trademarks of the National Hockey League. © NHL Enterprises, L.P. All rights reserved.